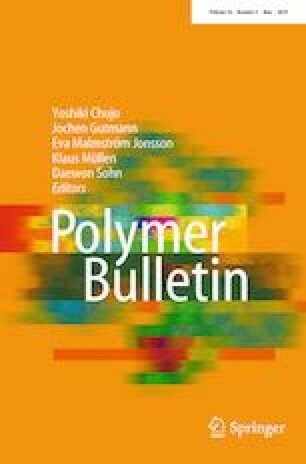 The present study describes the synthesis of a new material prepared by low-temperature thermocatalytic degradation of polystyrene (PS) by using zeolite clinoptilonite as a degradation template and subsequent functionalization with acrylamide (AAm) for the removal of lead (Pb(II)) metal ions from aqueous solutions. Infrared spectroscopy (FTIR), field emission scanning electron microscopy, thermogravimetric analysis and differential scanning calorimeter techniques confirm the successful functionalization of PS oligomers, before applying this material as an alternative adsorbent. A preliminar absorption study using functionalized PS oligomers as an adsorbent indicates that material has a good potential to absorb heavy metal of Pb(II) from the aqueous solutions. Equilibrium data show a maximum adsorption capacity of 33.85 mg g−1 with a percentage removal of 90.94%, which fitted well with Freundlich model and kinetic data were best described by pseudo-second-order model. Desorption studies revealed that PS oligomers functionalized with acrylamide as monomer source can be recovered using 0.5 M EDTA as regenerating agent, with a maximum recovery of Pb(II) metal ions of 97.28%. These results reveal that PS oligomers functionalized with acrylamide could be recommended as a promising adsorbent for Pb(II) metal ions contained in aqueous systems. The online version of this article ( https://doi.org/10.1007/s00289-018-2479-7) contains supplementary material, which is available to authorized users. Authors thank to PAICYT-UANL (CE327-15) for financial support J.P.R. Thanks for the scholarship from CONACYT. Funding was provided by Universidad Autónoma de Nuevo León.